Alright, alright, I'm a believer. Finally, I can say it with confidence. Noise canceling headphones are dope. But as I suspected, you cannot cheap out on them. You have to go with top-end gear. 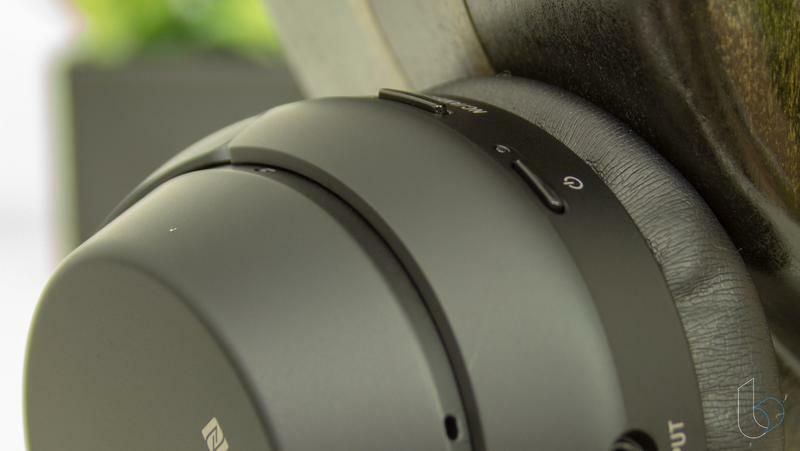 Noise-cancelling technology is complicated and while you can throw the chips for it into any pair of headphones, that doesn't mean it's going to work well. 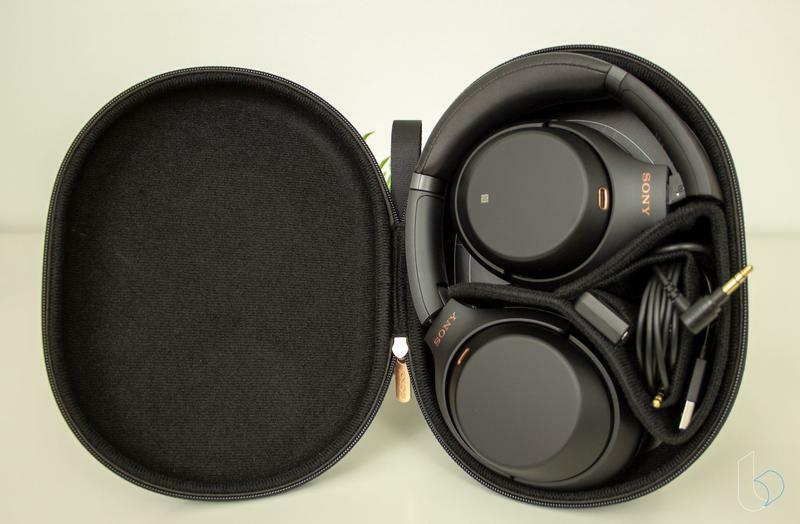 The Sony 1000xm3 headphones, though? They work. They're a pretty penny, but they do what they say they'll do on the box. These are great headphones along every line. I'm not usually this over-the-moon about a pair of headphones, but the xm3s have it going on. When I put my hands on these headphones, I was immediately reminded of how good Sony is at making consumer electronics. It's the same feeling I get holding a PlayStation controller or Sony remote. 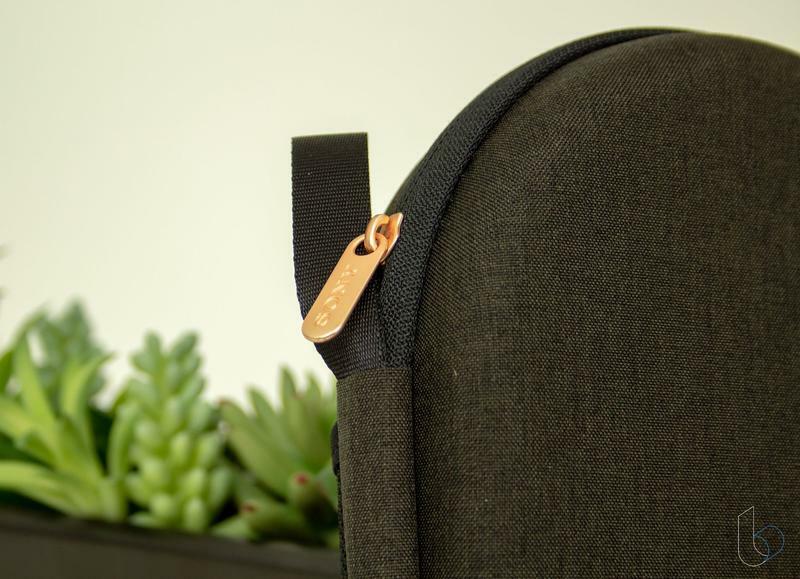 This company knows how to make stuff that feels good to hold, wear, and use. While I don't plan to throw the xm3s at a wall anytime soon, they feel sturdy and flexible in a way few headphones do. Most headphones are meant to play music, but the xm3s feel like they're made to wear. After the usual adjustment, they fit comfortably on my head and have the right amount of pressure to stay on, but they didn't feel like they were forcing me to pay attention to them, either. They feel light, but never delicate. My only complaint, and this is to be expected with closed-back noise-cancelling headphones, is that they get pretty warm after extended wear. And water is wet. You get the idea. And man, they look great, too. The gunmetal shade is pleasant without being loud, and the copper accents give it a classy look that doesn't scream dollar signs. It also doesn't pick up fingerprints nearly as easy as many other headphones I've worn, so I don't feel like a gross monster wearing them. The buttons and control interface on the xm3s do scream, though, and they scream quality. It's a little detail, but especially with wireless headphones, controls need to be easy to access and easy to use. I've had wireless headphones with mushy, wobbly buttons and clunky switches. Those on the xm3s just work. They're satisfyingly clicky and easy to hold down where necessary. But there are only a couple buttons, so you don't look like Lobot hanging out in the Cloud City. Even the case for this thing is elegant. The whole kit comes in a grey travel case with a copper zipper for a little visual accent. 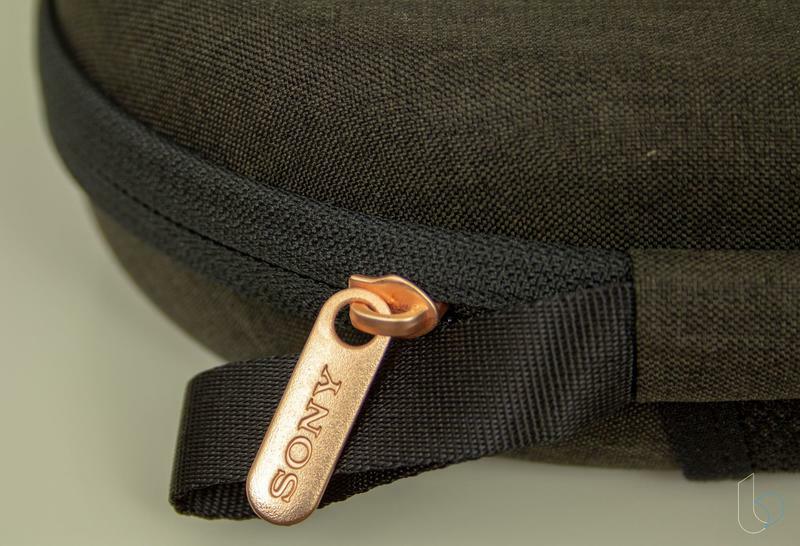 Inside, Sony includes a diagram that shows you not only how to fold the headphones for best fit, but also acts as a reminder of which ear the controls are on and how to use them. The case also fits the included 3.5mm cable, the USB Type-C charging cable, and the two-prong airline adapter. Even with all that, it's a compact package that doesn't ask for a ton of room in my backpack. I was able to take it on a plane and it never felt like a burden to keep the case with. Using these headphones feels nice, too. From the hardware down into the software, there are enough features to make them worth that $300 price tag even if they didn't sound great (but they do). First, let's talk about that noise canceling. This is what you're paying for, and it is worth it. 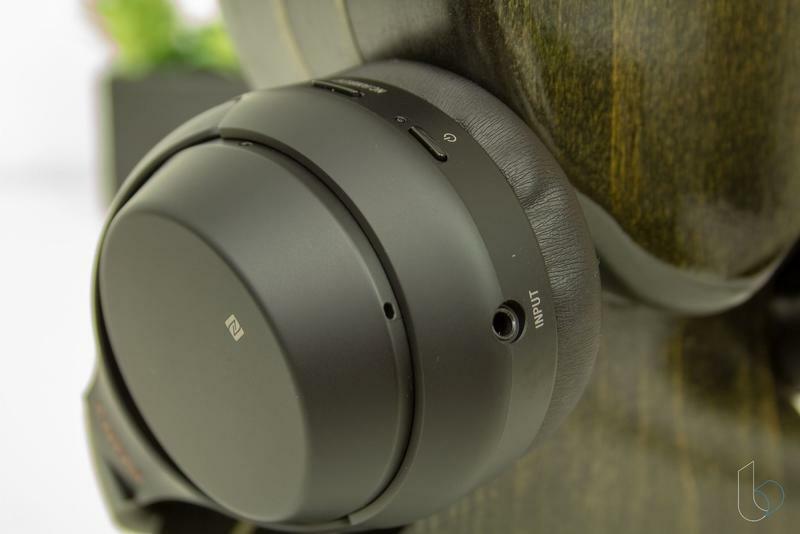 The noise canceling in the xm3s is a step above every other noise-canceling headphone I've tried. Describing it to a friend, I likened the feeling of noise canceling like wading into water. The better it is, the more immersive it is. Even basic NC headphones will get your socks wet. 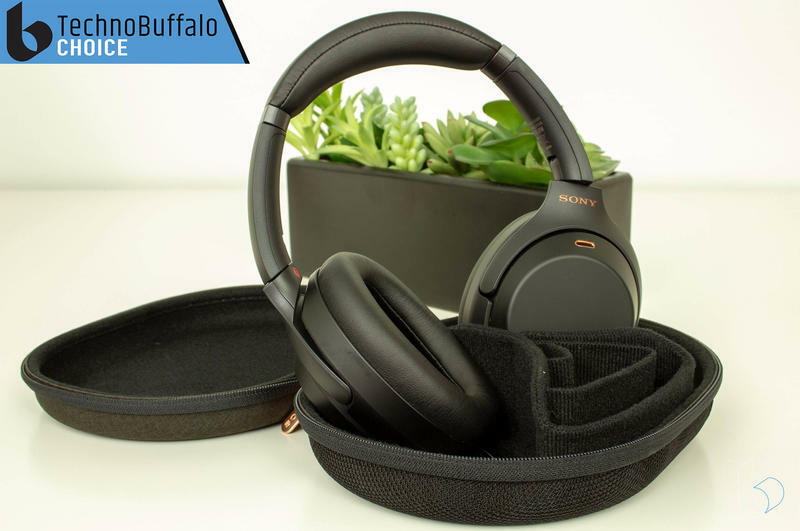 You can pick up any pair that says "active noise canceling" and notice a difference when you flip them on. But usually, it doesn't go much past that. It's hard to get noise canceling right. Even more expensive headphones still let noise in, and there's a limit to how much they can cancel out. If basic noise-canceling headphones get my socks wet, the 1000mx3s have me wringing out the bottom of my shirt. With the xm3s, the difference with noise canceling night and day. Even sitting in my office with them on, taking them off feels like stepping from an anechoic chamber and onto a city street. In a cafe, it filters out all the background noise. Only the loudest and most sudden noises make it through. This alone is worth the price of entry. I haven't tried Bose's standard-setting QC35s for comparison yet, so I can't say for sure that these are better, but I can say that they get the job done when so few other headphones do it. 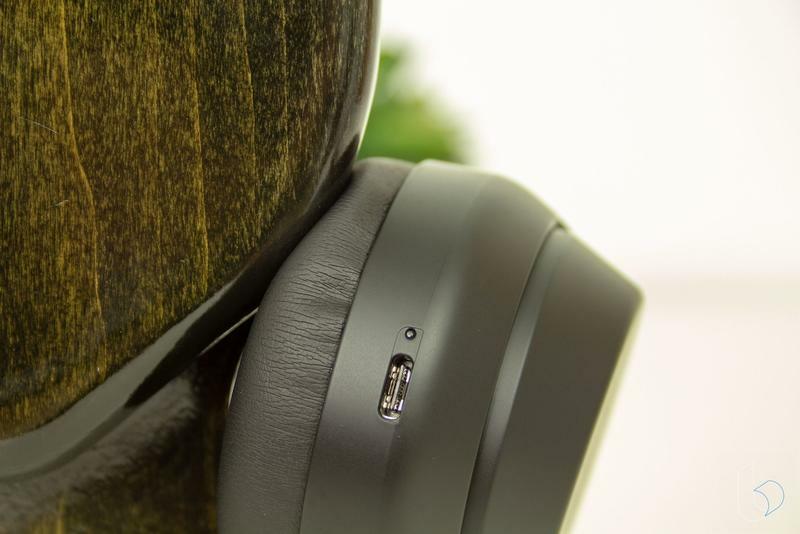 But that's not the only feature that makes these feel like truly worthy headphones. The touch interface on the right earcup is simple and elegant in a way that makes me not miss buttons. Vertical swipes change volume, while horizontal ones change track. However, play, pause and answer calls with a simple double tap, or you can cup your right ear to put the phones into "listen" mode, which turns those NC mics into pass-throughs that make it feel like you have super-hearing. It's a simple thing, but it's so easy to use that it quickly became second nature for me. Diving into the software, which is available on iPhone and Android, there's even more to like here. 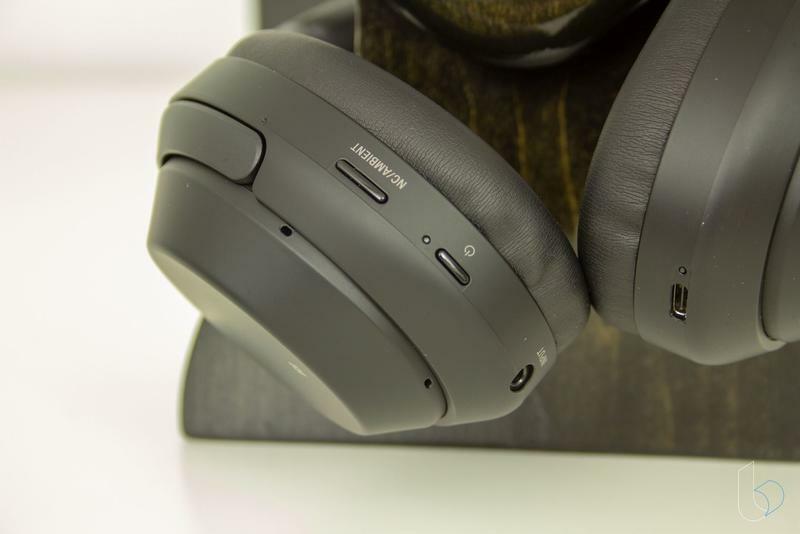 The software lets you adjust just how much noise canceling you want, and you can tell it that you want it to let voices through. You can customize the secondary button to act as a noise-canceling toggle or a button to activate your phone's digital assistant. But the software also offers some pretty extensive EQ options, too, as well as positional audio, so you can put the sound in your head, or make it feel like it's in front of you, behind you, even to the side of you. This feature is a bit harder to pin down as to why you might want it, but it works pretty well all the same – it could be useful for watching movies that are right in front of you or maybe even for just increasing awareness on one side of you to keep your ear cocked. Maybe. It still sounds cool. You can also tell the software to focus on sound quality or a stable connection, which can help connectivity in an area with lots of interference, which sound quality isn't going to be paramount anyway. Another very much appreciated feature comes thanks to the switch from USB Micro to USB Type-C in the upgrade from the xm2 model to the xm3. 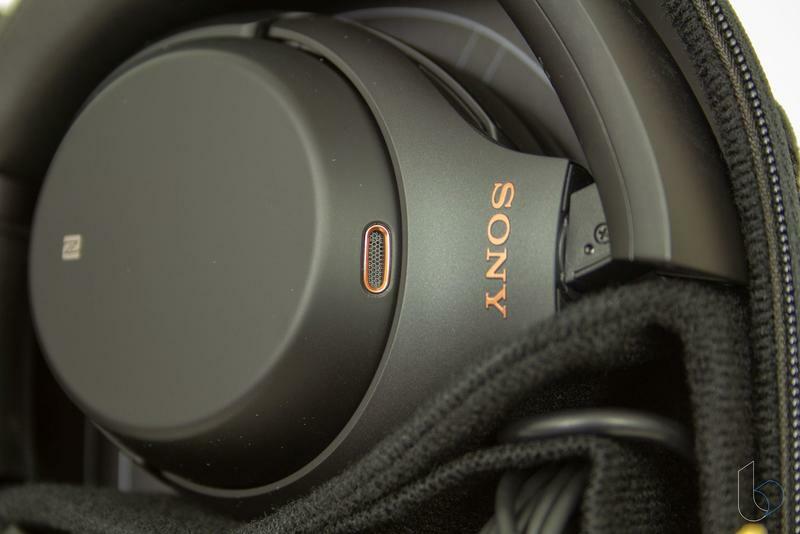 The overall battery life, with noise-canceling enabled, reaches about 30 hours according to Sony, and as much as 38 with it turned off. That seemed pretty accurate in my use. But what I really appreciate is the new quick-charge function. With just 10 minutes of plug-in time, you can get 5 hours of playback. Enough for a cross-country flight, or to make it through the second half of your workday. With three-hours of charging, they'll be topped up and ready to last you what seems like an almost ridiculously long time. 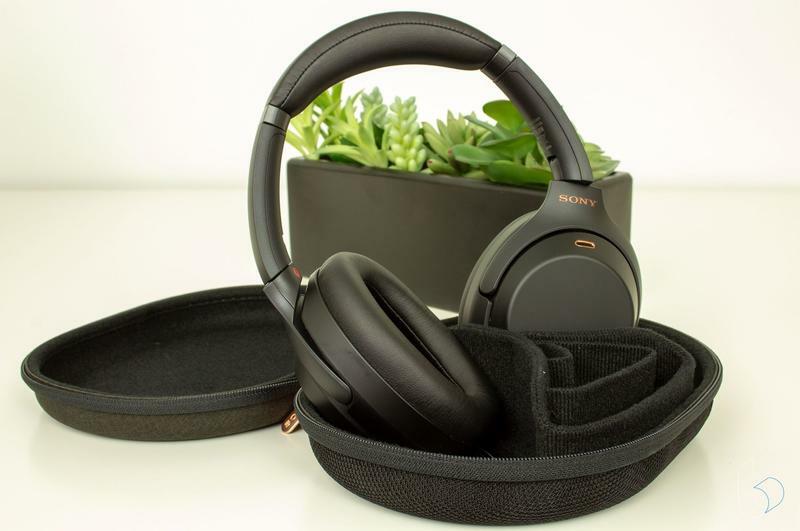 One of the biggest sins committed by noise canceling headphones is that using the noise canceling function feels like a huge compromise to the sound of the headphones. The way I often hear it described is that the sound feels "pinched." Like it's being squeezed through a smaller tube or played through cotton balls. And that's dead-on accurate. I've been mostly unconvinced by noise canceling before because not only does it not work very well, it makes listening to music a noticeably less enjoyable experience. The 1000xm3s, then, are a much-needed break from that trend. No matter how I listen to the xm3s, they sound great. Plugged in via the included 3.5mm jack, with noise canceling off, with noise canceling on, and with the software in both "sound quality" and "stable connection" modes. 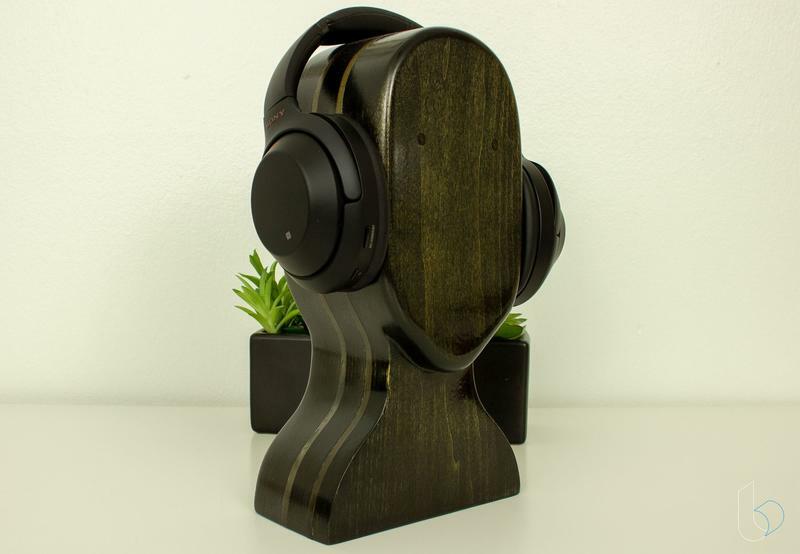 They're just great-sounding headphones across the board. For pure listening, I'd say I prefer the noise canceling turned off with the connection in "sound quality" mode, but that's less about what it does to the music itself and more what it does to the sound around it. Turning on noise canceling shrinks the soundstage of the headphones enough that I can notice it during music playback. But with that said, it's not super obvious, and I think a lot of casual listeners would struggle to take notice of it while listening to music – especially with the volume cranked. 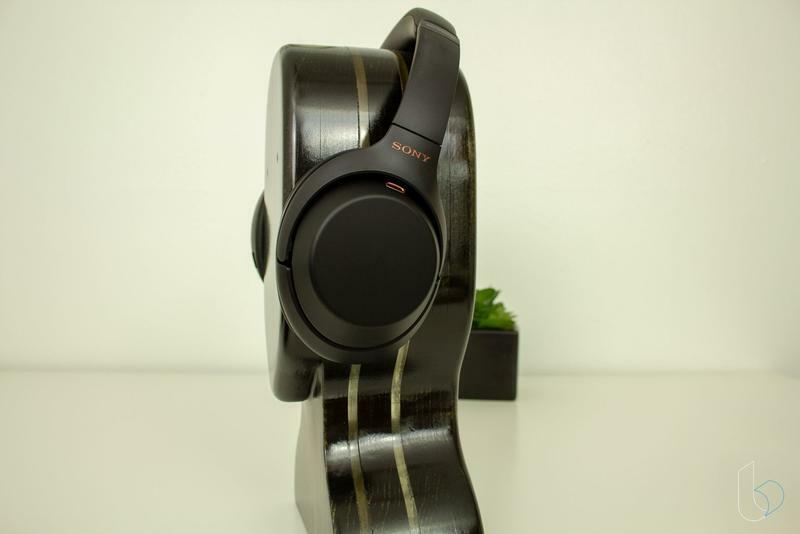 For the price Sony's asking, the xm3s might be one of the best sets of headphones I've put on. Listening to Alice in Chains' Unplugged album, I feel like I'm getting the whole range of sound offered by the acoustic guitars and vocals. The treble end gives me a clear sense of the twang of the strings, while the bass is full and present without overpowering. 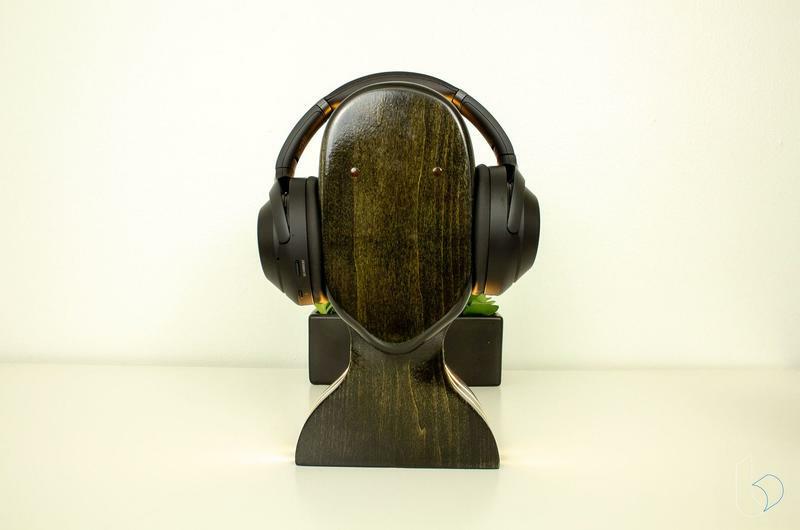 They're definitely not "flat" headphones – the bass has a little extra oomph – but it feels good instead of artificial. If you like, though, the software does have a customizable EQ with a variety of pre-set settings on top of the standard setting. Moving over to Kyuss' track 'Space Cadet,' a track that often exposes distortion on the lower end of headphones, the xm3s perform admirably, delivering the ultra-low bass without distorting or crunching. Switching to something vocal-focused like Aesop Rock, the headphones bring Aesop's voice through clear and clean. Sound is ultimately going to be a matter of personal preference, but I don't really have any strong criticism of the xm3's offerings. Pausing the music for a quick second, I took a few calls while wearing these and call quality is generally solid. For those that I didn't tell that I was using a headset, I had no complaints, and those that knew were pretty impressed with the quality of my voice. With headphones in general and wireless headphones specifically, you're often balancing a spider-chart graph of battery life, convenience, and sound quality. At $300, the xm3s ask a pretty high price that a lot of people are going to balk at. But they're so worth it. 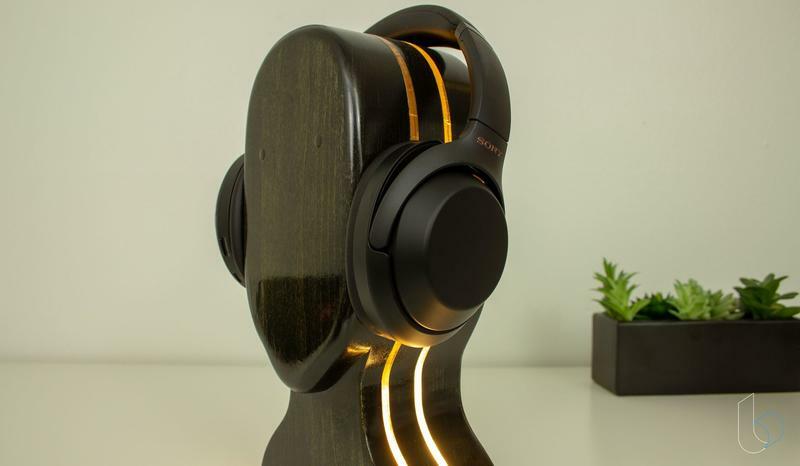 Companies ask $300 for great-sounding headphones, and these are great-sounding headphones. But they're also seriously comfortable and superbly built. 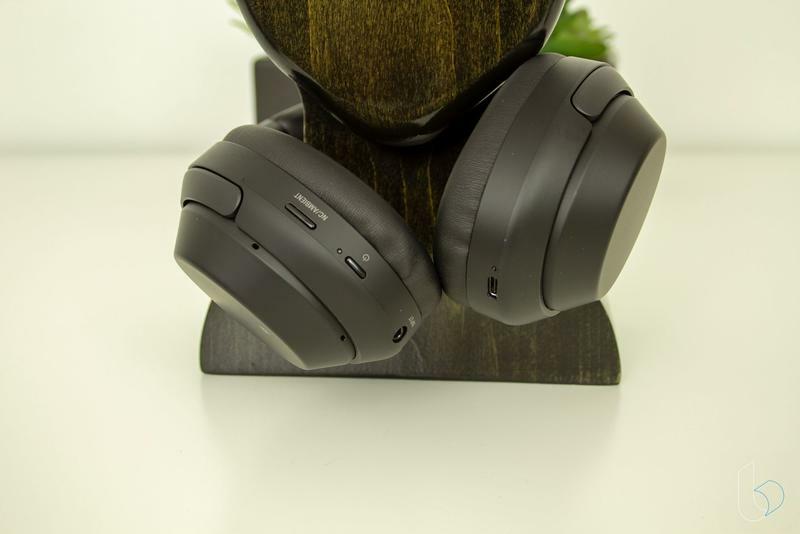 And they offer excellent battery life, fast charging, industry-leading noise-canceling tech, solid call quality, a good case, touch controls that feel good to use. The list goes on and on. You get what you pay for. When you pay for the Sony 1000xm3s, you get everything. 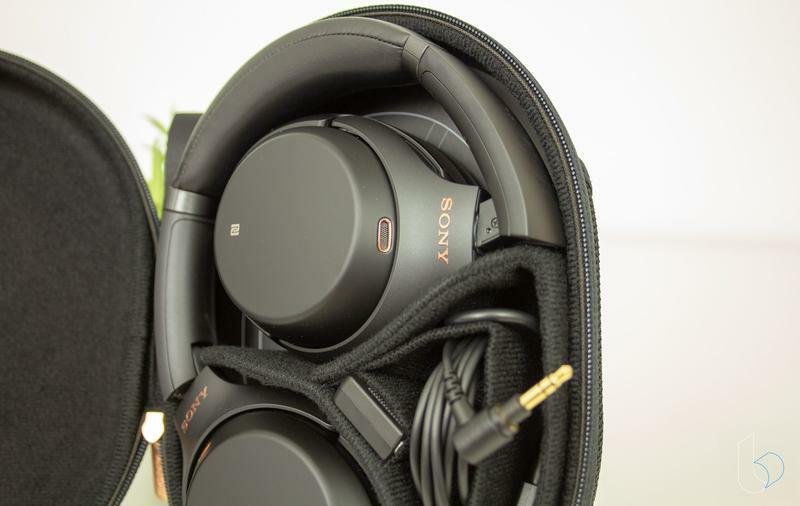 Disclaimer: We received a review unit for the 1000xm3s from Sony and spent about 40 hours with them before writing this review.